We will pay for the cost of repair of the Vehicle, less the Excess. Total loss (including stolen or hijacked Vehicles). Windscreen Damage – if accidentally damaged, we will pay for the cost of filling the cracks or chips in your windscreen the cost of replacing Your windscreen or other permanent window glass less the excess payable. Medical Expenses – We will pay a lump sum payment per occurrence if any occupant of the vehicle have medical expenses as a direct result of the use of the vehicle. New for Old – We can replace your vehicle with a similar model or pay the sum insured as shown in the policy schedule. 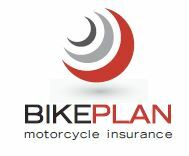 BikePlan CyclePlan is there to make sure that you are covered in an accident that can happen at anytime. Please fill in your details below so that our professional call centre consultants can discuss the policy and benefits further with you. Please remember to read the full BikePlan CyclePlan policy wording for full terms & conditions.